One of the things that often gets talked about for authors is this; know your readership. This isn't going to be a post about that! There is already a lot that has been said on the subject, and much of it is very helpful. As I continue my thoughts around How to Train Your Readers, further developing the #BooksAreNeverFree mindset, I'm going to post about the three types of readers as I see them. And once we identify them, we have a better idea about how to go about reaching the type of reader that fits with our strategy. I first mentioned one of these types, Type X, in my previous post. Here, I want to go into detail on the three main types, as I see them, and what each means for you (the author)…or you, the reader. All are welcome here! Most importantly, I want to give those who are thinking the same as me an invitation to move forward, together and do something about it. Imagine, if you will, three pools (ponds, lakes, rivers––you can be as imaginative as you wish! ), each with fish in them. This is how I will describe each type of reader, as well as how that affects us as authors. (All types have been seen through my own research, primarily first-hand responses from my own readers). A starts the alphabet–Alpha. These are the original readers. Paper copy readers. Be it hardback or paperbacks, these readers have been around for as long as books have. 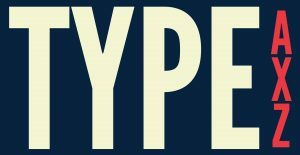 Type A's are the focus of the traditional publishing scene, their mainstays. Within this pool, traditional publishers and authors have been reeling in catch after catch for decades. These fish have teeth! Within this pool, however, there are Type A-, fish that whilst they love paper books, they've been trained by charity shops that a book shouldn't cost more than $1. Probably only 50c. We need not worry about Type A-‘s as they won't be accidentally caught by any of our marketing because they aren't in the same pools that we'll be fishing––be that on Amazon or Facebook, for example. We, nor the traditional publishers, have any link to the charity shoppers. Let's leave them be, therefore. Of course, from a reader's perspective, there can be cross overs, sometimes. I, for one, love my iPad, and have a whole range of books waiting to be read on my Kindle app. Having said that, with so much of my life spent working on some form of digital screen, I'm currently loving reading a paper book! The last 7 novels I've read have been paper. So there is certainly a Type A in me, whilst I also fit into another type. I'll jump to the other extreme now. Z's are eBooks all the way, just as X's are. Z's are new to me, in the fact that until I started asking questions of readers, I assumed it was either or…either paperback or eBook. I've learned there is a distinction. Z's are therefore mostly non-English speaking readers, particularly from Continental Europe. They like the ease of eBooks––they travel a lot, and books are easier to move or fly with if it's already on their device. They aren't opposed to paper books––they can easily adjust to being Type A's––but they always buy their eBooks. Actually, they aren't always aware that free books are an option, neither do they place any value on a book if it is offered to them for free. They generally pay between €9-€15 for an eBook and don't think anything of it. They are a slightly different fish to those of Type A's, but not so different. They have teeth, they'll nibble at anything that takes their fancy and follow that up with a purchase. Now we land back to my original starting point, the Type X. We also have another sub group within this one, a positive one this time, which I'll call Type X+. This is the pool that primarily the English-speaking Independent author scene has been focussing on since eBooks came around. Like Z's, X's are into eBooks, actually to the point of being almost exclusive. They are excessive readers, and the invention of the Kindle has given them a growing world of books that are now available. The only problem is, is that the classic Type X doesn't want to pay for an eBook. I'll come to why this is in a moment. I'll first mention Type X+, as they do have teeth still and will pay for their books. In the pool that we are looking at, in the early days of the eBook revolution, it was primarily formed of Type X+ readers. They'd crossed-over from being Type A's, trading print for digital, but retaining their culture of buying their books. They just loved all the new technology, and were early adopters to the new market, maybe seeing a positive trade-off between the slightly cheaper eBook edition and their appetite for reading. In the early days of the Indie scene, the breakthrough authors grew famous because they were able to ride the wave of early success. The perma-free model and other such giveaways made this pool a very fertile one. Now, however, these Type X+'s are harder and harder to find. It's a very overfished pool. What has emerged is the Type X reader, namely the reader who doesn't want to pay for books, has grown fat on free and developed an appetite for only free. They are toothless fish––they'll nibble on your offerings if you put it in front of them, but there is so much easy food that they never need to grow teeth again. They've actually been trained that books are free. Results are already showing that they'll even slam an author through a review, stating ‘I enjoyed the free book but was angry to find they were charging for the rest of the series.' True story. As I said in my previous post, I want to be an advocate for change, mainly in how we think as authors. For most Indie writers, the giveaway is deemed the only (the best?) way of reaching new readers, but it's that same pool––Type X––of readers we are now fishing in. And it's actually this approach that is making them lose their teeth. We are training them, in effect, that books actually ARE free, and the more we do it, the more authors in time who continue to do it, the more it's reinforced. It's called Authors Who Sell––Let's Do It as this is the primary focus of what we'll do. Over the last 10 years, Indie authors have probably been the most innovative out there, and yet we'll fall into the same trap that others have if we continue to state ‘this is how we do it' and ignore the signs, and the potential damage we are actually walking towards. I, for one, want to think ahead of the curve. If there is to be a new wave of fishing, I want to be right at the front this time, net ready!